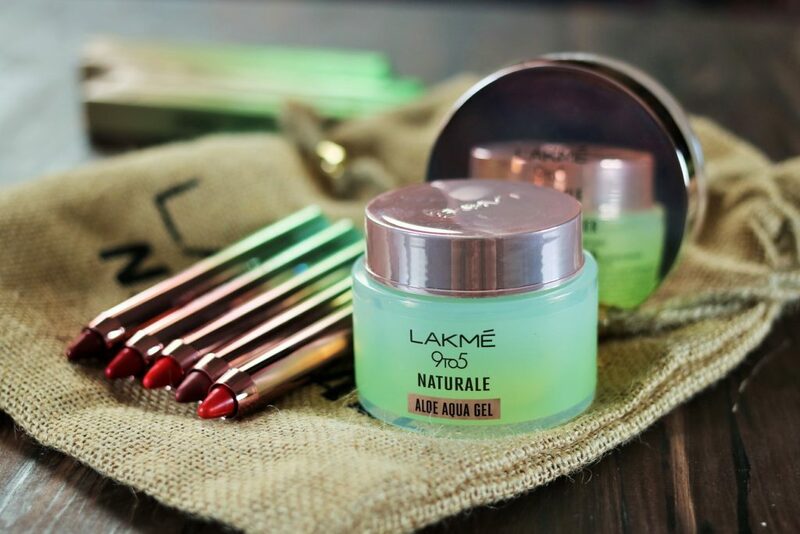 Lakme recently launched an aloe infused skincare and makeup range and they sent me a few products to try out. In the Lakme 9to5 Naturale range, three products have been launched in the first phase – Aloe Aqua Gel, Finishing Powder and Matte Lipsticks. 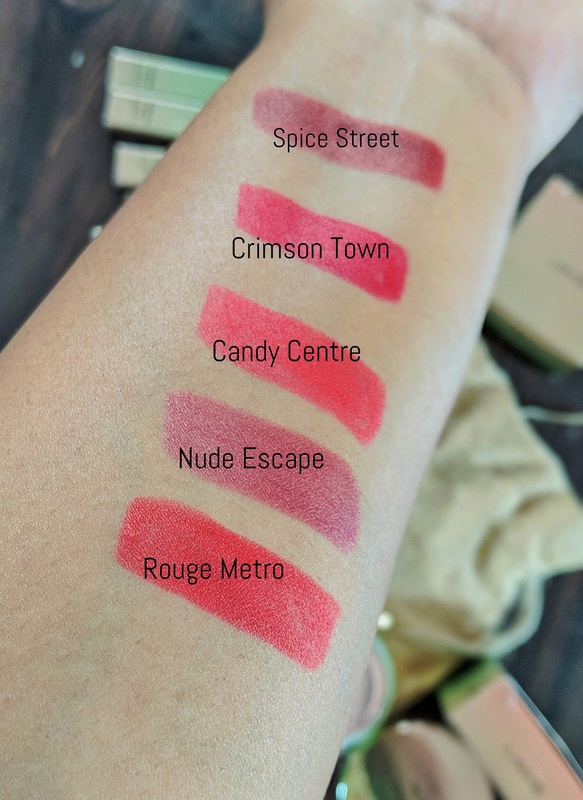 Want to know more about the range and see swatches of the lipsticks? Read on. 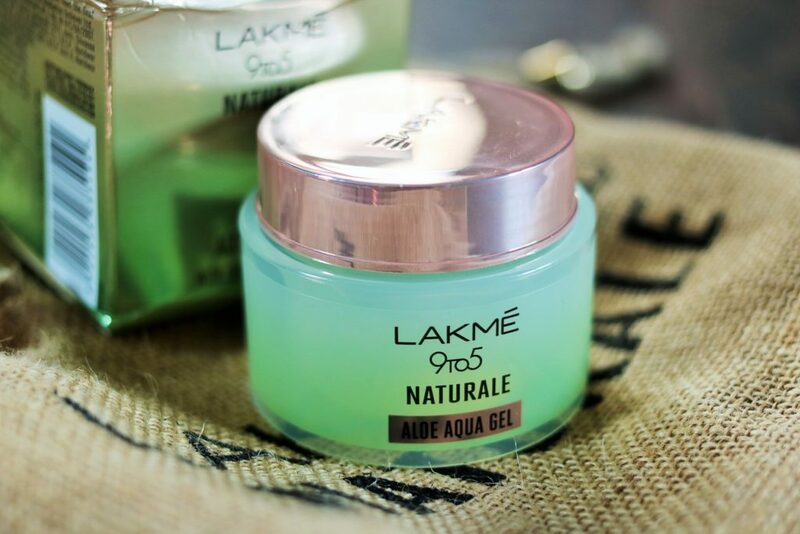 Lakme 9 to 5 Naturale Aloe Aqua Gel –We all know what a miracle product aloe vera is and how good it is for the skin especially in summer. I am a regular user of aloe vera gel and I’ve tried a lot of brands. The first thing that I noticed about the Naturale Aloe Vera Gel is the very strong synthetic scent and needless to say, in a makeup range that is infused with natural products, the artificial scent is somewhat off-putting. It is a clear gel and has a smooth, water-based texture. It feels very light on the skin and not sticky at all. The gel absorbs into the skin immediately and also moisturizes quite well. After a day out in the hot and humid weather, it definitely feels very refreshing. 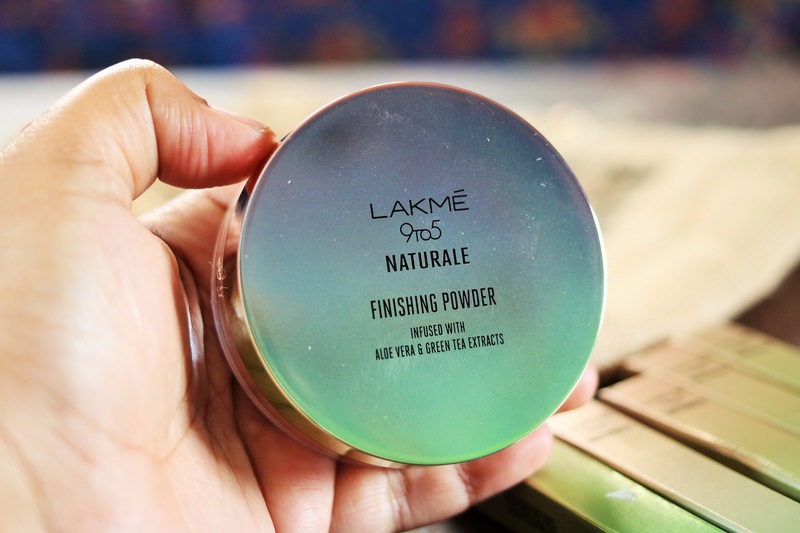 Lakme 9 to 5 Naturale Finishing Powder – I’ve used this product just once and it did a decent enough job of keeping the skin shine-free and matte for sometime. 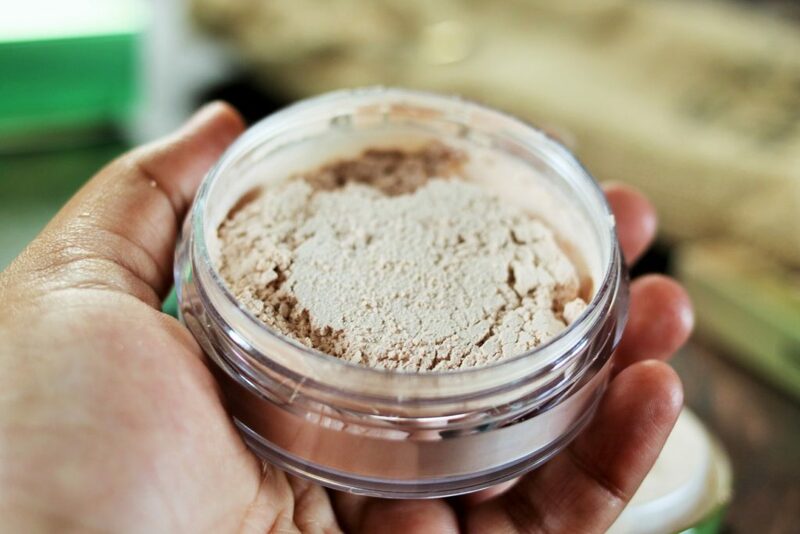 It is basically a setting powder so don’t expect any coverage out of it. Just apply it once your makeup is done. It would have been great if Lakme came out with more shades in the powder than just this one light beige color. The good thing is that it does not leave a white cast on the skin after application. 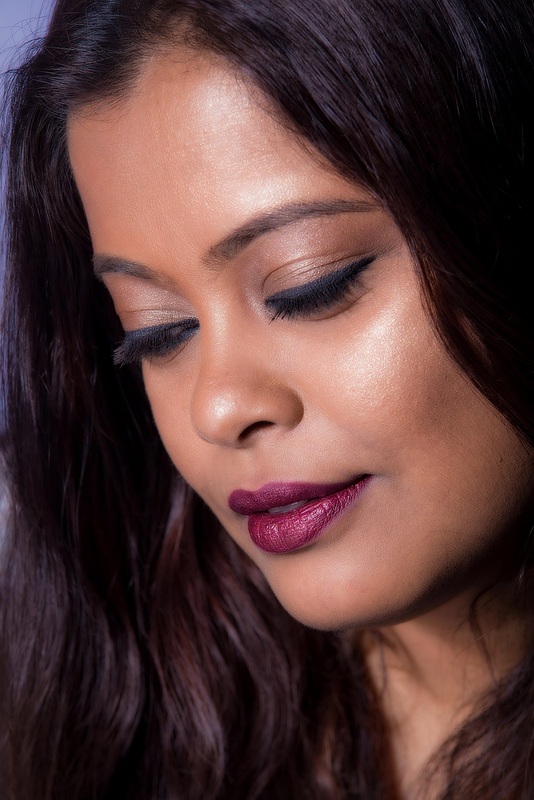 Lakme 9 to 5 Naturale Matte Lipstick: I was obviously most excited to try out the lipsticks and they look so pretty! 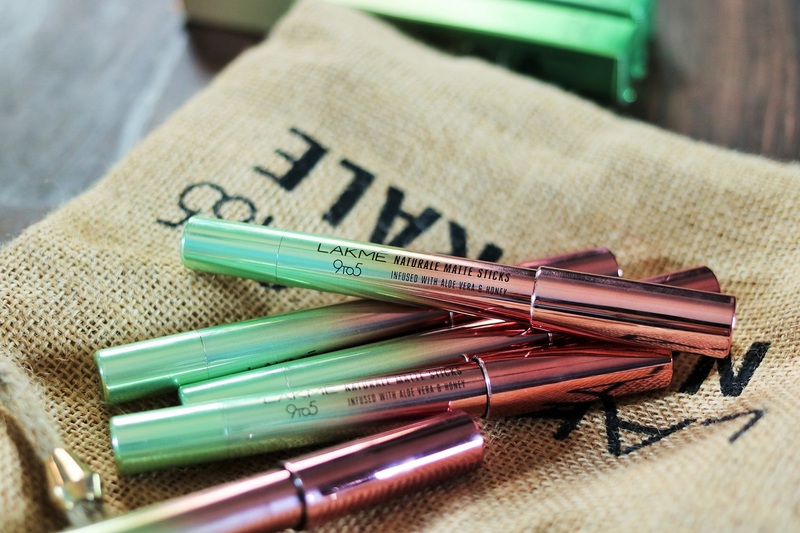 I love the slim, light green and rose gold ombre metallic packaging. 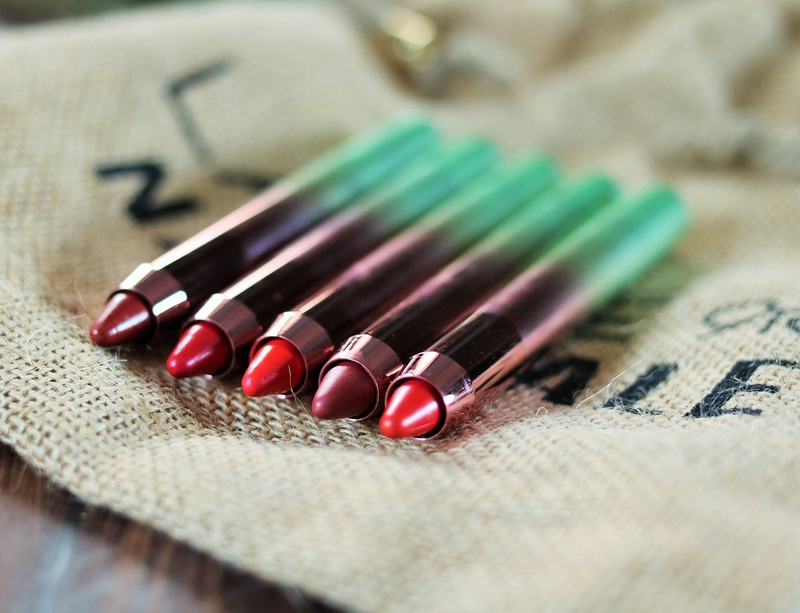 These are retractable pencil lipsticks and available in 15 shades, out of which I have five. The shades kinda look the same though and I really wish Lakme had experimented a bit more. There are plenty of reds and pinks in here. In terms of texture, they feel quite light on the lips. You need to swipe a couple of times to get opaque coverage but the lipsticks set to a matte finish quite fast. I like that it is a comfortable matte and is not drying. The lipsticks give a metallic finish that is quite wearable actually and they last for about 3-4 hours. The quantity is 2.2g which is less than regular lipsticks. 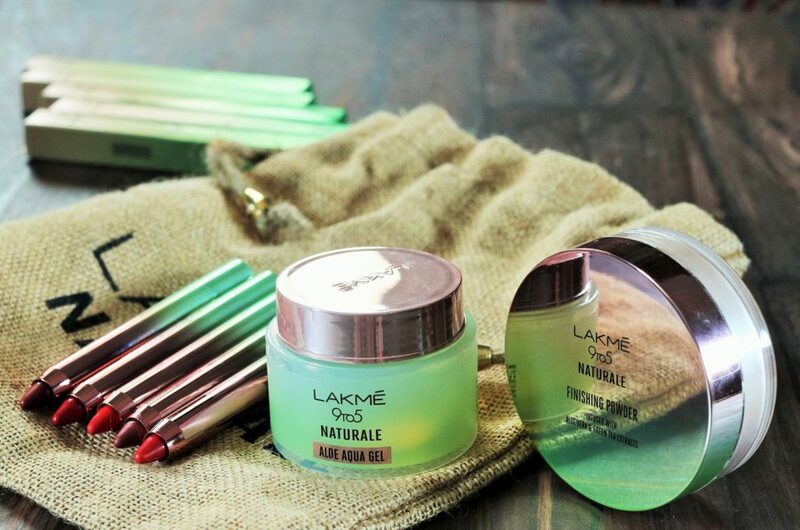 Have you tried any product from the new Lakme 9to5 Naturale range? What do you think of them? Do share in the comments below. 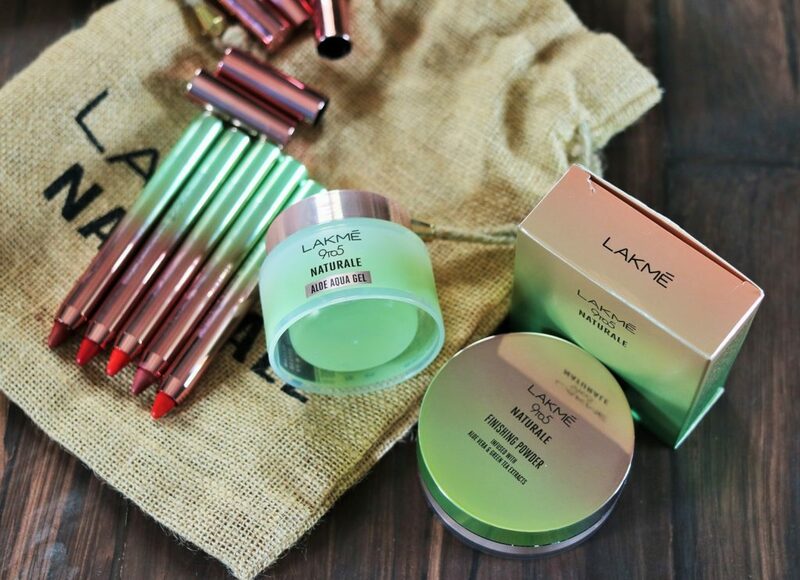 Lakme hs some great products when it comes to cosmetics. I have used there matte lipsticks and they are too god.